What ELSE Should You Prepare for Recording In the Studio?!? Release Assets! Release assets are all the different graphics and videos and podcasts and vodcasts and lyric sheets and… Well, you know what I mean. The STUFF! The stuff you put out to generate excitement and anticipation in your next release. It’s a lot of work! But the REAL work starts before you even get into the studio. You need to prepare for the recording studio with more than just your songs. Imagine the documentary or biopic that WILL be made about your career. Humble? 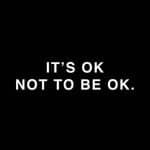 Get over yourself! Someday YOU are going to be one of the main characters of a rock film of the ages. Now, what happens when the producer turns to you and asks for all the footage you have of this point in your career? Are you going to hand over a few selfies and lyrics on a napkin and expect him to make a movie out of THAT?!? Now, I’m not suggesting you need to start scripting your own Bohemian Rhapsody now (although that would probably be a fun and productive exercise). I AM suggesting you need to document your present as if it will be what you might not recognize it is. One of the best times of your life. I hope! But it is ALSO great material for your fans. Please don’t forget your fans! 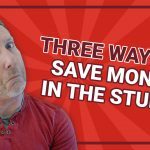 I wrote and talked recently about how to save money in the studio. Be sure to check that blog post out if you haven’t already! Record conversations, outtakes, incidental moments. Take pictures, videos, and record audio. Prepare cover songs and alternate versions in advance. Have jams you don’t need every member for, so you can record stuff while one or more members are out getting dinner or just cooling off. But never, ever take your eye off what’s most important during your time in the studio. Your album or EP. Get a friend or trusted fan to come in and document (and keep track of!) everything. You’re going to want to release all this great material on a planned schedule ahead of your release day (cough! Release It Right or Release It Right – Silver Scream Edition!) so know where it is all being stored so you have it for later. Check out the video above for MORE on this topic! Next week I’ll be back to write and talk about when you should release your album or EP. Don’t miss it!